The ultimate survivors of the zombie apocalypse are ready to join forces with your bobble head collection! From AMC's The Walk Dead comes The Walking Dead Daryl Dixon Bobble Head. 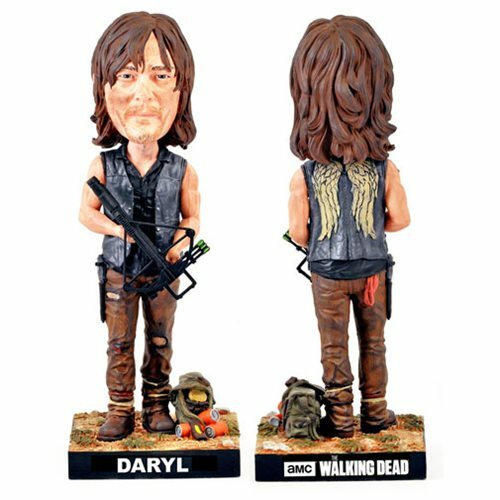 Standing approximately 8-inches all, the Walking Dead Daryl Dixon Bobble Head features an impressive likeness of actor Norman Reedus and boasts an incredible attention to detailing, such as the orange sodas Daryl found for Denise, littering the figure's base. Ages 14 and up.